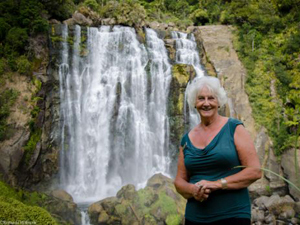 Welcome to Custom Day Tours New Zealand – your local Tauranga Tour Company with a difference. 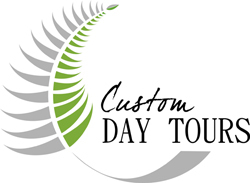 At Custom Day Tours, we like to make all our tours about you. You decide where you’d like to go, and what you’d like to see. Of course, our knowledge of Tauranga and other tourist attractions throughout New Zealand means we’re able to give you some great recommendations and advice. We’re also different in that we only work with a set number of people at a time. This allows us to customise your tour exactly there way you want. restrictions and, best of all, more time to see the beautiful sites the port of Tauranga, Bay of Plenty and Rotorua have to offer. chedule to make the most of your cruise ship tour. We can take you around the beautiful Bay of Plenty, Rotorua, Hobbiton and the World Famous Waitomo Caves. Our guided tours from the Port of Tauranga will be the highlight of your New Zealand holiday experience. Hi, we are Terry and Carolyn Kelliher – the proud owners of Custom Day Tours, New Zealand. We really are a ‘true’ Kiwi couple with many generations of both families coming from New Zealand. After more than fifty years of happy marriage, four children and eleven grandchildren, we love to work together showing tourists around our beautiful Bay of Plenty home region. 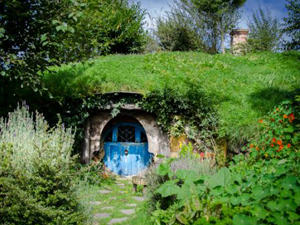 Our Hobbiton tour is really popular with Lord of the Rings and Hobbit fans, as well as anyone who wants to take in the beautiful New Zealand countryside. We can even have lunch in the Shire! The Waitomo Caves Tour is a truly unique experience into the stunning glow worm caves of New Zealand. Enjoy a boating through the Glowworms Cave, and hear tales of local Maori. 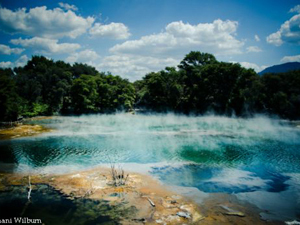 This is the very best tour to see Rotorua including the geothermal activity, Maori culture, the stunning redwoods and the beautiful Rotorua Lakes. You can even get up close to the geyser too! We have a wide range of tours exploring all the great sights and attractions Tauranga, Bay of Plenty, Rotorua and Coromandel have to offer – New Zealand is a beautiful country with so much to see and enjoy! So if you're arriving on a cruise ship and looking for an exciting shore excursion, talk to us today about what you'd like to do, and we'll help you plan an itinerary and make your New Zealand exprience truly memorable. And if you're staying in Auckland and would like to explore our exciting tours too, we can even pick you up from your Auckland hotel, so you don't miss out on our exciting tours and shore excursions!